Manhattan fitness trainer and wellness coach Kirsch (Sound Mind, Sound Body) has expertly sculpted the bodies of Naomi Campbell and Linda Evangelista and worked his fitness miracles on ABC's Extreme Makeover. 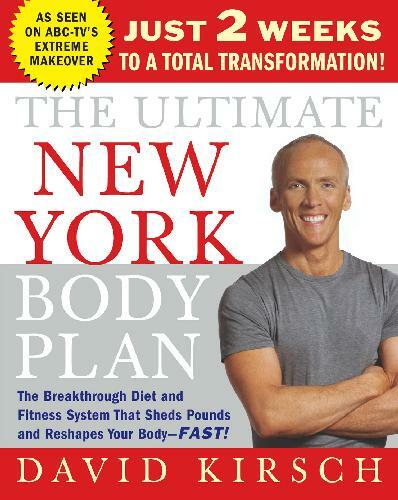 Now he tends to readers seeking a fast way to slim down before that big wedding or bikini season. Normally, Hirsch says, he eschews ''get fit quick'' schemes, but he claims his combined focus on mind, body, nutrition and exercise will help followers shed unwanted pounds in just 14 days. Make no mistake, however: the regimen is strict (''when you are looking for extreme results you must make extreme sacrifices''), and one must be in fairly good shape even to attempt it (the author includes a pre-program to get readers ready). In addition to a rigorous, cardio-sculpting workout—90 minutes daily, using a stability ball, medicine ball and lightweight dumbbells (photos of the moves included)—Kirsch provides a nutrition plan that prohibits alcohol and limits carbs and unhealthy fats. For those who don't consider a protein shake a sufficient meal, he suggests ''real food,'' such as egg whites, salad and lean proteins, and includes such tempting recipes as Roasted Red Pepper Frittata, Mediterranean Chicken Stir Fry, and Turkey and Spinach Burgers. Kirsch's plan requires ''150 percent'' commitment, but those desiring near-instant gratification will no doubt be rewarded. The real payoff, Hirsch concludes, is that by maintaining the basic principles even after the initial two weeks (though somewhat toning down the regimen), his followers will be healthy and trim for life.Copyright © Reed Business Information, a division of Reed Elsevier Inc. All rights reserved.